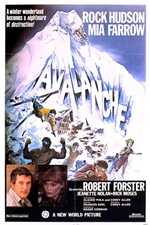 Avalanche is a 1978 American disaster film, directed by Corey Allen and starring Rock Hudson, Robert Forster, Mia Farrow and Jeanette Nolan. 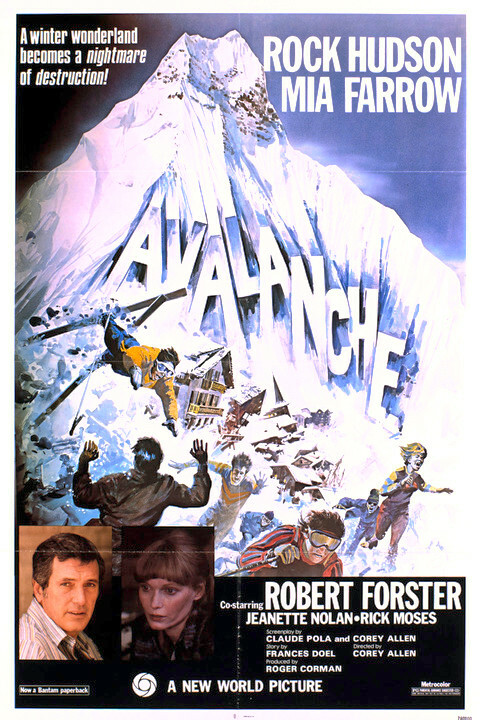 The taglines for the film included "A Winter Wonderland Becomes A Nightmare Of Destruction" and "Six Million Tons Of Icy Terror." Many avalanche scenes in the film were actually stock footage; parts of this film's avalanche scenes were in turn utilized as stock footage in the film Meteor. The film is listed in Golden Raspberry Award founder John Wilson's book The Official Razzie Movie Guide as one of The 100 Most Enjoyably Bad Movies Ever Made.